I’ve been visiting and researching the rapid urbanisation in Turkey – whose cities boast some of the largest urban extensions in the world – one managing over 7,000 completions in a year – and the positive and negative lessons learned. It shouldn’t surprise us that the planet’s newest cities are to be found in the places here its population is most rapidly urbanising: India, China and sub-Saharan Africa. Whether acquired by eminent domain, compulsory purchase order or outright expropriation, assembling meaningfully sized parcels of land in existing urban cores can be a messy, expensive and time-consuming process. The favoured strategy in all of these places is therefore to develop entirely new satellite cities on peripheral sites where land is cheap – or barring that, to build upon land reclaimed from the ocean. a long litany of private-sector new city initiatives now spangles the African continent, …Each is dashed with the most superficial gloss of technological contemporaneity, right down to the inevitable “Silicon” prefix. And each is more placeless than the last, predicated on a generic model of development that could not possibly have less to do with the actual political, economic or material conditions obtaining in any African society…. This strikingly inapposite quality among the new African cities can be traced to a few factors. On the one hand, the bland look of nonplace is perceived by local elites to be the sign and sigil of successful modernity. But it is also true that none of the parties doing the actual design work are local to the continent, or, evidently, particularly conversant with any of its cultures. This criticism of ‘techno gloss’ is cutting, however I challenge anyone to show me in Africa any city which has been developed anything like this high tech vision. Schemes such as Modderfontein which aims to develop Shanghai on the Veldt near Johannesburg have hardly laid a brick. When ‘Smart Cities’ planned with expensive renderings by western based architectural practices are implemented, using local construction and regulatory norms of which the masterplanners are unaware, they look pretty much the same as the monotonous rows of 12-30 storey identical concrete tower blocks you find now in rapidly urbanising cities on every continent. It is the dynamics of these domino cities which makes them all look the same. They are mass produced urban planning and architecture, where urban design does not get a look in between the two. From my own experience their problems stem from similar causes. A Functional Separation of Superblocks Almost all developing countries systems of urban planning are based on approval of a functional distribution of land uses, by plot divided by a road system designed solely to improve flow of road traffic. This is partially the influence of modernism, partially from adopting wholesale western ‘euclidian’ zoning laws, partially a legacy of colonial zoning (whose primary aim was mainly to push the locals as far away from plush new areas as possible) and partially the importance to emerging economies of laying out subdivisions for single plot buildings or sites and services (as an alternative to informal unplanned settlements). All of these mitigate designing streets and places. An ‘illustrative plan’ showing the design of streets and places, in 2 and 3d is not required and even considered a hindrance to the rapid laying out of plots and roads. In any event plots and roads are likely to developed by local contractors who will quickly abandon masterplans so that construction simplicity and maximising the plot values of local elites granted privileged access to the developments are the main drivers. A Failure to Understand the Site, Climate and Culture Indeed it is quite common, sadly, for new cities to be planned with no or inaccurate topographical surveys, leading to building forms and roads poorly adapted to the site. Existing tress and landscape features are not surveyed and so are swept away, This factor alone would lead to variation as every site is different. Hydrographical studies, predicting where flood waters will flow – which can act as a basis for a nature friendly design – are the exception rather than the rule in many emerging economies. Hence this is either ignored or crude engineering solutions guaranteed to ‘work’ such as culverting, are applied. Western masterplanning firms also often have dysfunctional relationships with local firms, treating them as subservients to do the detailed work at outsourced rates rather than tapping and building up their expertise for concept design. Typologies that may be appropriate to cooler climes, such as all glass curtain wall offices, are applied unthinkingly to warmer or colder climes. The use of Standardised Building Footplates and Construction Techniques in terms of rate of construction but it is a good thing, but too often this results in homogonisation. In Turkey for example they increasing use ‘Tunnel form’ techniques where the walls ansd ceiling/floor of a whole floor is cast in place at once – so floors can be constructed in two days rather than a week. 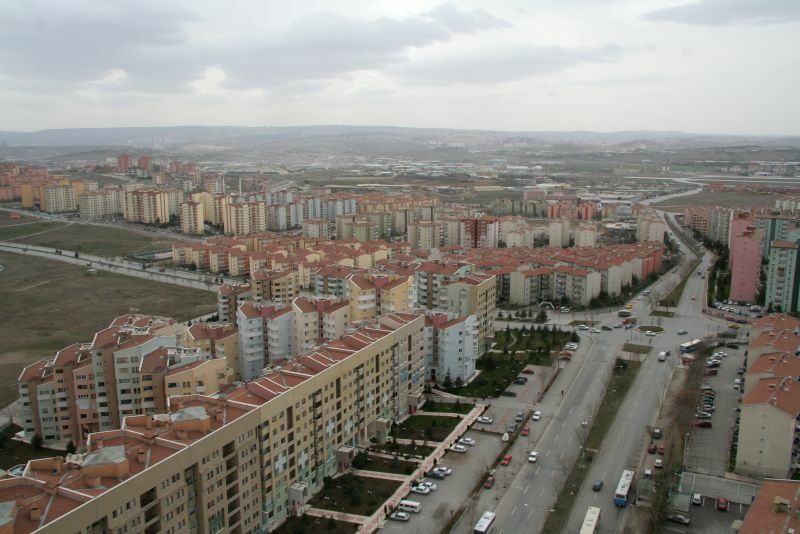 The result though – are you can see in the vast suburbs of Ankara such as Batikent- is streets than look like they have been designed by a bad Minecraft player – all the same height and boxy elevations. The efficiency of this technique has led to 94 emerging economy countries beating a path of the Turkish Housing agencies door and lucrative contracts for many Turkish contractors. Compare to British householders and there old fashioned ways and complete lack of exports. It doesn’t have to be this way. A limited number of typologies and building modules can be designed to lay out a city in kit form. Zoning regulations can require variations in height across larger high density superblocks. Indeed design parameters should never be set by superblock by vary by street frontage and type to which individual building blocks face. A Failure to Appreciate Scale Designing on a city scale is not the same as designing a small subdivision. Yet many of those designing new city scale projects have simply scaled up their experience on smaller projects. Hence open spaces, boulevards and public spaces which look good on a map at 1:10,0000 turn out to be unusable and overlarge on the ground. Cutting Corners in Early Phases The early phases of a new city scale project always have negative cash flow – the infrastructure needs up front investment whilst revenues come in later. If you can capture the uplift in land values this helps as you can borrow from it. 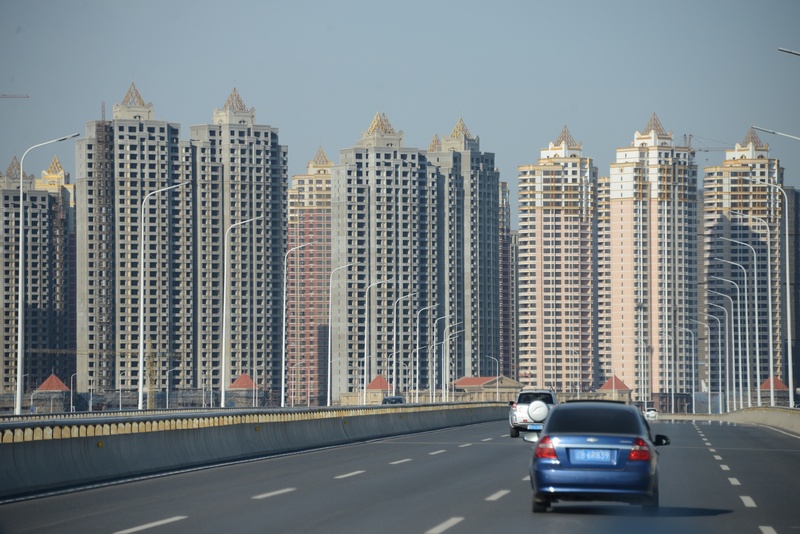 Indeed a lesson from China has been that its uncomfortably confiscatory system of eminent domain and sales to fund local government later have been if anything too successful. One positive lesson from Batinkent was that it was led by local design cooperatives on state land and that a European grant led to positive cash flow in early stages, hence it could develop mass affordable housing at low cost and without the fear of privaate developers of ‘flooding the market’. Not Planning in the Infrastructure at Concept Stage Often masterplans in emerging economies are designed before infrastructure concept design, because of a lack of funding. As a result massive medians are left for future hypothetical infrastructure networks, without coordinated design, which become barriers and barren treeless spaces. Unrealistic or Totally Absent Planning for Public Transport To impress there clients masterplanners too often include impractical vanity transport solutions such as personal rapid transportation or monorail rather than down to earth practical and well tested solutions such as BRT or paratransport. road capacity is often overlarge by default (and often not studied in models) often applying standard road dimensions dictated by states and municpalities that follow american practice of 30 years ago rather than international best practice . None of these barriers are inevitable or dictated by economics. They are the result in institutional design and laziness – they can be fixed. Domino cities can be avoided – even if you are planning by the Sq km, but it needs a different regulatory and commissioning regime. One that starts with building and block typologies, designing places and buildings that work well together, and then designing streets, roads and neighborhoods around those. Successful neighbourhood footprints can then be adapted and reused as tessellations on suitable broadly flat sites, which dont require the custom street by street design of hilly sites. Even a few different typologies for each of the key elements of cities, when added in combination, add up to millions of possible combinations at a city scale. All new cities dont have to look the same. London could be as dense as Bangkok, Osaka and Rio de Janiero by 2041. London is projected to grow by a million over the coming ten years and a further 500,000 in the decade after that. The London Assembly Planning Committee has today warned that the next Mayor must start planning for London’s future from the day they collect the keys to City Hall. ‘Up or Out: A false choice. Options for London’s growth’ outlines a menu of options for accommodating London’s growth. It considers approaches such as increasing the density of some parts of suburbs, regenerating estates, and building new and expanded towns outside London’s boundaries. Up – are more skyscrapers and modern towers set to define our skyline? Out – can we build to a higher density in outer London while preserving our green spaces? “Now is the time to start planning for London in the 2020s and 2030s The big question is: how should London grow – and in which direction? The current trajectory has been new and expanded towns within London. This report sets out a series of options – some of which support that approach, others which take it in a new direction. We do not endorse all of the ideas we considered, but nothing was off the table. These are tough decisions. Whoever wins the Mayoralty, Londoners will expect leadership to make sure the capital doesn’t stand still. We need bold new ideas to accommodate our growing population in a way that is sustainable and improves quality of life. The report title usefully suggests that this is a false dichotomy in that some combination of both will be required to meet needs. However the report itself suggests a false dichotomy in suggesting that the tower block option is likely to be in the form of very tall buildings only affordable to the rich and that higher density forms can be achieved. in more traditional 4-5 storey street forms. This is a false choice that only occurs in cities which place a clamp on storey heights and provide a limited range of outlets – which then because of their scarcity become only affordable to the very rich. If we look internationally at housing typologies where the majority of construction in major cities is in the form of family apartments greater than 4-5 storeys – examples being Turkey, China, Singapore, Vancouver – then we find the typical typology is a 12-20 storey apartment of family housing, more often to not occupied by local middle income households rather than the super rich (Vancouver being the exception). The design of this area may be monotonous (though not inevitably so) but they do show that cities can grow up and out to high densities achieving the ‘compact city’ form which was the mainspring behind the London Plan bit which always delivered too few houses. If those arguing for no London Green Belt release are to present a serious option this would only be practical if it involved redevelopment of whole SqKm of London – now mostly in single ownership – to 12-20 storeys – with the new transport infrastructure to support it. An area such as Abbey Wood, Thamesmead, Erith, linked to the redevelopment of London City Airport, Silvertown, Beckton, Barking reach and South Dagenham. That’s an area of about 50 Sqkm sufficient to meet all of London’s housing needs over 50 years. Smaller parts of the Lea Valley also offer similar potential. The mostly tiny scatted council estates outside the Thames East London area just arn’t large enough to offer a serious alternative that can meet the necessary scale. Those arguing against ‘Out’ and to maintain current Green Belt boundaries need either to argue for such a programme or for a major programme of Garden Cities outside the Green Belt. 20 years of London Plans have failed – they have set out a ‘nice’ Compact City vision that can only deliver around half to 2/3rds the housing London needs. London now needs to get serious about the options. Pragmatically because both options are so hard to deliver it will need both – and have such long lead in times that some limited inn edge of Metropolitan Green Belt – which many boroughs are reviewing anyway – will be needed to provide some temporary relief until the big smart growth options come on board. The problems of capital theory, value theory cannot be tackled without the simultaneous treatment of rent. They show the almost forgotten deep connections between these issues that provide a ‘core’ of economic theory – based on accounting identities – that is invariant to the degree of monopoly a produced has . That is it is deep and foundational. Now that’s interesting – what could he mean? I was lucky enough to have several emails from Anwar on the issue of rent theory including a lecture note on Absolute Rent which he said he would base a chapter of his book on – there was the clue. Lets wind back to the theory of Absolute rent. Adam Smith said it existed, Ricardo disagreed, Marx said Smith was right on this point. Here Marx was right. Smith regarded rent as the price ‘demanded’ by the landlord for the use of land, and that even land which was incapable of improvement could demand a rent. This he said was ‘naturally a monopoly price’ and was distinct from additional rent which could be extracted from application of capital to land. Though Smith did not use the term ‘absolute rent’ – that comes from Marx’s close reading of this section – the distinction is clear. There was a gap in Smith’s theory which Ricardo and his immediate predecessors and successors filled in, it did not explain the level of variations in rent at the extensive and intensive margins or through variations in location. But the basic issue remains – is rent possible at the left most point on this cost curve, does it intersect above zero implying an absolute rent? For Smith it did (without implying he understood the issue graphically) and is closely tied to his theories of value and distribution. As long as land could produce a basic crop sustaining workers, and that that crop on the land of lowest fertility in use could be sold then it could attract a rent that the landowning class would be able to extract from other classes. In such cases absolute rent would be price determining not price determined. For Smith this created a moral imperative on the landowning class – you should invest it in productive consumption and not in the list of activities in his famous and much misunderstood section on ‘unproductive labour’. Marx extended this argument in terms of the capital intensity of the agricultural sector. He considered that agriculture had a lower organic composition of capital (capital intensity) than manufacturing so that given the distinction between value and price there had to be a net flow of value extricable as rent. Marx took from the immediate ricardian contemporaries the notion that value from labour was preserved at the system as a whole and looked at its transfer – his famous and flawed exposition of the Transformation problem in Capital III. Marx was wrong on this specific point on the origin of Absolute rent. It can arise where the capital intensity is above the average – as in modern western agriculture which hardly employs a sole. The issue for its creation is whether the basic goods (to use Sraffas term) grown on it are profitable. Marx had spotted an important clue however, on the necessity of value to flow in time and space between sectors. Imagine two firms equally competitive and non colluding, there only difference is how they feed there workers. Firm A has access to a more productive peice of land – which it rents – than form B – which also rents. There is a third piece of land, less productive still which neither rents. The landowner is able to extract rent. However firm A wishes to expand its production and so seeks to rent this third piece of land. The owner of this third pace of land is able to charge an absolute rent if – and only if – its cost is less than the differential rent on the first piece of land at the extensive or intensive margin. This rent adds to the cost of the product and the revenue is split between the absolute rent and the additional profit. Consider now that this additional profits are not spent on investment but solely on consumption goods and services (unproductive labour) – its spending – and respending on unproductive labour proceeds as a geometrical contraction which adds to employment but not investment or growth. Sraffa discovered when you treated the value of such basic goods as your numerare it created a problem in the methodology used by post ricardian thinkers (of which he wasn’t the first) that the value of durable ‘capital’ could be reduced to dated physical inputs of land and labour. The maths for this only worked at zero rate of profit. But what is the source of the discrepancy at positive rates of profit? A few weeks ago I suggested the source was the labour spent on ‘unproductive labour’ it seemed to me obvious and implied in post Keynesian accounting identities. In that article I made a mistake – implying Sraffa has misapplied a dated reduction technique of Dmitriev – I was wrong my copy of Sraffa was so moth eaten a power had worn off on an equation. But this still implied a contradiction with post Keynesian accounting identities – which implied that value must be created in the system somewhere. It supported the theory proposed by Ian Wright that that somewhere was ‘unproductive’ labour expenditure when the system was seen as a self reproducing whole. Here at least is a clue for value theory. Where a producer is able to create profits by extracting ‘schumpeterian rents’ than this is translated to absolute rent which enables expenditure on unproductive labour. If one then assumes reproduction at a ‘steady state’ on non accelerating growth the ‘dated land’ inputs must equal the ‘dated labour’ inputs on unproductive labour. This then becomes interesting because then the complex problems of insufficient terms of equations cancel out and you are able to reduce everything to dated labour and circulating capital. You can apply the solution Sandelin applied to the well known ‘Wicksells missing equation’ problem – that is the durability of capital is endogenous and is the period which maximises the rate of profit -the solution from forestry economics to the barrel of wine fixed capital problem, and you can apply Dmitriev solution to Walras’s ‘missing equation’ critique of Ricardo by substituting dated labour repeatedly to fixed capital. The result of al of this is that the intuition of the immediate post ricardians – such as James Mill and Torrens (in a late recantation) that all problems of fixed capital for a labour theory of value go away when you treat it as joint production producing value at the same rate of a annuity of the same duration, go away. This theory though always had a problem for ‘objectivists’ how could sitting on your hands, waiting, produce value (interest in this case) which Marx derided. Now we are in reach of seeing the answer. The value being created is the labour producing cpaital consumption goods extracted from absolute rent, and that value is the result of the physical productivity of land in producing basic goods. One Burrard Place, which will have 53 floors, even though it was marketed as having 60 floors. The disparity is because the structure will not have a 13th floor nor any floor that ended with a four. The city banned that practice late last year for new buildings. One Burrard Place, however, was grandfathered and is one of the last buildings that the city is allowing to number its floors in this way even though the project has still not broken ground. Today the IEA repeated its usual ideological blast every few years that we should rip out as many traffic lights as possible. The report is a total intellectual mess however citing congestion – and extended travel time – as an economic loss and then stating the alternative to traffic lights is errrr …’low speed environments’. What do they want to be able to drive anywhere you want as fast as possible or for traffic to be calmed to humane speeds? You cant always have both. The report is infused with the dogma that economies are most efficient when drivers can choose where to drive. But we know that, in economic terms, this isn’t true for road networks – a Nash equilibrium on a road network is not pareto opimal. You have awkward truths such as the Breass Paradox and the Downs Thompson Paradox that get in the way. You would think that an economic think tank would at least explore economic theory and debates – but no the IEA is not a think tank they are an ideological Austrian dumb tank. These ideas do also get in the way of conventional highway engineer thinking – for example if you consider two single roads and a crossroads and traffic lights the traffic light junction in theory has twice the capacity. But what is true for a single junction is not necessarily true for a network/system as a whole, where so many people may take an ímproved’ route that at certain demand levels, it grinds to a near halt. Hence paradoxically removing roads, and slowing junctions down, which the IEA doesn’t want – may improve the performance of the system as a whole – as will improving public transport and improving walking and cycling – which the IEA has similarly ranted about. The High Court (Charles George QC sitting as a Deputy High Court Judge) handed down judgment today in Dartford Borough Council v Secretary of State for Communities & Local Government(CO/4129/2015). The principal issue before the Court was whether the definition of “previously developed land” (commonly known as “brownfield land”) within the NPPF and Planning Policy for Traveller Sites (“PPTS”) excluded all private residential gardens, or just those “in built up areas”. The Deputy Judge held that the wording of the exemption to previously developed land, within the NPPF was significant. It reads “land in built-up areas such as: private residential gardens” (underlining added). As such, the Deputy Judge found that only residential gardens within the “built-up area” were exempt from the definition of previously developed land whereas, residential gardens outside “built up areas” were “brownfield”. The Court held there to be a rational explanation for the distinction, namely that undeveloped land in the urban area was at more of a premium and thus required greater protection. Although such a consideration did not feature in the Written Ministerial Statement or Letter to Chief Planning Officers on the issue of “garden grabbing” which accompanied the amendments to national policy in 2010, those documents had to be read alongside the wording of the amendment to national policy (then contained within PPS3 “Housing”) which, in common with the NPPF, preceded the exclusion of residential gardens with the phrase “land in built-up areas”. “The decision is significant. It holds that residential garden land, outside “built-up areas” is “brownfield” land not, as had widely been understood, “greenfield” land. That finding has consequences in terms of its priority for development. Paragraph 111 NPPF provides that brownfield land is where development ought to be prioritised. The decision presents councils and others with an interest in the development of land with the obvious quandary as to how to identify “built-up areas”. In this case, the land was within the countryside to which the Council’s countryside development plan policies applied. There may be very many less clear-cut cases however. Do you Have a ‘Need for Drama’ Boss or Coworkers? Great a ‘Need for Drama’ index and personality trait. Only one thing worse than having a NFD boss- having to line manage a NFD person who appeals over your head to your NFD boss. By the way the ‘Dark Triad’is narcissism, Machiavellianism and psychopathy. • Measures interpersonal manipulation, impulsive outspokenness, perceived victimhood. • Strong associations with dark triad, neuroticism, low conscientiousness, gossip. • Need for Drama scale has equal factor loadings between men and women. • Useful for organizational and social research on maladaptive personality traits. We developed and tested a novel scale to measure Need for Drama (NFD), a compound maladaptive personality trait in which people impulsively manipulate others from a position of perceived victimhood. We confirmed a three factor model of NFD consisting of interpersonal manipulation, impulsive outspokenness, and persistent perceived victimhood factors using Mechanical Turk and college student samples. The pattern of correlations between the NFD factors, dark-triad, attitudes toward gossip, and locus of control, suggest that NFD individuals can be characterized as manipulative, gossipy, and reactive. Correlations to Big-5 personality traits indicate NFD individuals are neurotic, lack conscientiousness, and are slightly more disagreeable. Tests of measurement invariance established that the factor structure and factor loadings of NFD are equivalent between men and women. Organizational, social, and personality researchers may find the NFD measure useful as a predictor of counterproductive workplace behaviors and other maladaptive interpersonal interactions. Future directions and limitations are discussed. Reducing cost of production to dated labour was implicit in the English classical economists but was revived first by Dmitriev and then by the Austrians and Wicksell in their approach to ‘originary’ factors of production. The approach then fell into disuse until revived by Sraffa. It is not often noticed however that Sraffa used a very different mathematical method than Dmitriev and this led him false conclusions. Why you can reduce to dated quantities of labour is easiest presented in the ‘labour commanded form’ used by Sraffa. There are other arguments from a labour embodied position but the labour commanded form is easiest to grasp. That investment is resolvable to wages and capital costs and rent, capital costs are resolvable to wages and rent. Rent is an extraction from the surplus so rearranging to the RHS. We can resolve capitalist consumption in the same manner. (note as an aside as wages =1-r rent=capitalist consumption). Dmitriev used a brilliant device to counter the criticism of Ricardo by Marx (later revived by Walras) that Ricardo’s system was unresolved in having insufficient terms to be able to resolve wages and prices – in other words it was under-determined. Dmitriev reduced all costs to labour and discounted all costs at the profits (interest rate). Dmitriev essentially mathematised the Annuity approach to fixed capital that Ricardo’s successors such as Mill, Torrens and McCulloch used to argue for a ‘pure’ labour theory of value. Sraffa adopts a similar method but he did not discount labour costs, only ‘constant’ capital. As a result he came to the spurious view that costs were only reducable to labour costs at zero profits and except at zero profits there would also be a capital residue. This has also led to nonsense such as Bose’s theorum. I think he avoided doing this because of his objectivism, the approach was clearly inspired by Dmitriev, so the revised equation must have been deliberate. It implied that costs=labour costs+cost of waiting – the classical view from Senior. This to Sraffa would have been unobservable and unobjective. However we can see from our exploration above that profits are resolvable to wages + capitalist consumption, and substituting into the formula, as per Dmitriev, interest has an objective meaning in terms of the labour costs of producing capitalist consumption goods. A different twist on exploitation theory. I am greatful to Ian Wright for the last argument though I hope this is a simpler means at arriving at it in terms of accounting identities. Perhaps if Sraffa has pursued this course he would have realised the ‘accountants method’ of dealing with fixed capital had real meaning and the cost of maintaining fixed capital was independently calculable in terms of labour costs – joint production then becoming a trivial problem to resolve. Oliver Wainright in the Guardian about the Housing and Planning Bill – he contacted me in advance but I was travelling in Africa. Ellis fears that the bill marks the introduction of a “zonal” planning system, along US lines, whereby land is zoned for particular uses at a broad-brush scale and permission granted without the finer-grain negotiation of applications on a case-by-case basis, which has always defined the English postwar planning system. I certainly agree and have argued that such a fundamental change requires much more research and discussion through a white paper and ultimately a dedicated bill. However the sheer success of many zoning based systems, of delivering higher quality housing in volume, especially in continental Europe, means that I think we must shift towards a zoning based system. We are almost unique – apart from Ireland and Jersey, in having a discretionary development control based system. It makes every case a spot zoning hearing with design review – which shows that features of a dc based system can be added selectively to a zoning system – as they are for example in Vancouver – but making every case discretionary is a enormous waste of developer and planner resources as the principles of development have to be argued multiple times. Is Hugh right that ‘Zoning is one of the major contributors to the economic and social segregation of cities in America’. I think the evidence and research conducted on this matter shows this to be partial. Zoning has certainly been used in the US as a tool to encourage racial segregation, and social segregation through mandating sprawl. However as every history of US zoning from a comparative perspective shows this was almost unique to America (and a lesser extent Austrailia) with zoning on the continent being used as a tool for social inclusion and planning of diverse compact cities. Equally rules encouraging segregation and sprawl can equally be possible in discretionary systems – if national policy or laws dont prevent them. Zoning was originally conceived as a way of separating noxious or harmful land uses from people who might be harmed by them. Europeans enacted hierarchical zoning, in which objectionable uses were excluded and anything not explicitly excluded was permitted. The United States takes the opposite approach. Noxious uses aren’t segregated. Instead, prized uses are the ones that are segregated. Under this “flat” zoning scheme, “urban and suburban worlds in which everything was not only in its place but was also in its own separate place.” This approach isn’t so much wise as it is lazy. It’s easier to exclude “incompatible” uses than it is to promote diversity. And incompatibility is infinitely reductive, with potential conflicts and desired exclusions at every turn, until its reaches the level of single-family detached house. That’s why, where single-family neighborhoods are concerned, bakeries are treated no differently from nuclear power plants. In addition zoning was often used as a tool of racial segregation in the US in a way that it was not in Europe – even under fascism – although in continental Europe Jews for example were already segregated into Ghettos in most countries by pre zoning laws perpetuated by prejudice. So arguably there was little ‘need’ for it. It is fairly easy to ascertain the principles under which zoning is a progressive inclusionary tool. and these should either be embodied on the face of the housing and Planning Bill or in the NPPF. The TCPA should be taking a leaf out of its US counterparts and arguing for their enactment. My 10 point plan. No zoning should take place before design of the community – at concept superblock scale – this indeed is the golden rule of planning. Design first plan later. Local Authorities should have the power, as in Germany, Netherlands and France – to acquire land at existing use value subdivide and sell. There should be explicit regulation of plot subdivision and amalgamation. To prevent segregation through plot size. Include a mandate for large sites to include a 2% land provision for excluded groups – such as Gypsies and Travellers.